The Good: It’s electric. Quick response, no emissions, no gas (no gas stations), good ride, good handling and visibility. Unbelievably quiet at low speeds. The Bad: It’s electric. If your battery dies you aren’t going anywhere until it’s recharged. And the Leaf is expensive; currently the base price is $35,200 minus rebates. The Ugly: It is, even by hybrid standards, a funny looking car. 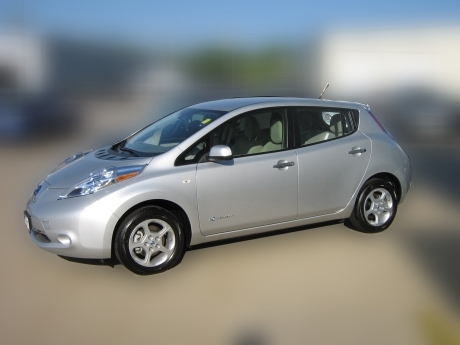 Where do you begin with the Nissan Leaf? Its revolutionary, but is it practical? Is it the next “peoples” car or the next Cube? As I see it, the Leaf is a lifestyle choice as much as a car. If you drive a Leaf you will surely have to adapt to it, rather than it to you. To start with, the Leaf is electric. 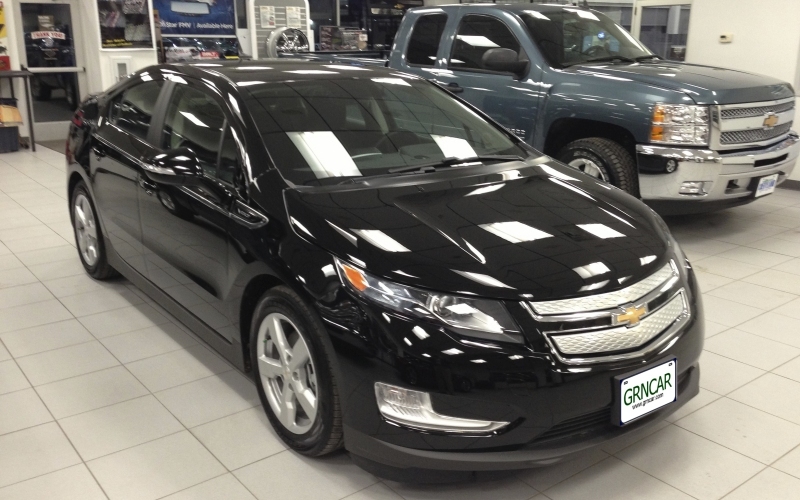 The Chevy Volt is also electric (at least according to Chevy. Chevy’s theory is that since the gas engine never moves the car but only powers the electric motor the Volt is electric but in the minds of many people the Volt is a hybrid; it runs on a battery but has a gas backup system. The Leaf is a true electric car. It runs on battery power all the time. But when you run out of battery power, it is the same as running out of gas. 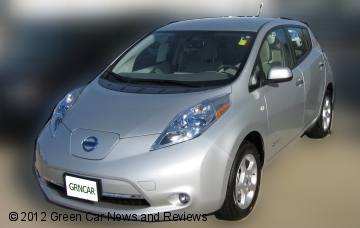 You might want to think of the Leaf as a Nissan Versa with a 3 gallon gas tank. Of course a car with a 3 gallon gas tank is ridiculous unless you don’t drive very far and you have a gas station in your garage. But then, with the Leaf, you can have a “gas station” in your garage. 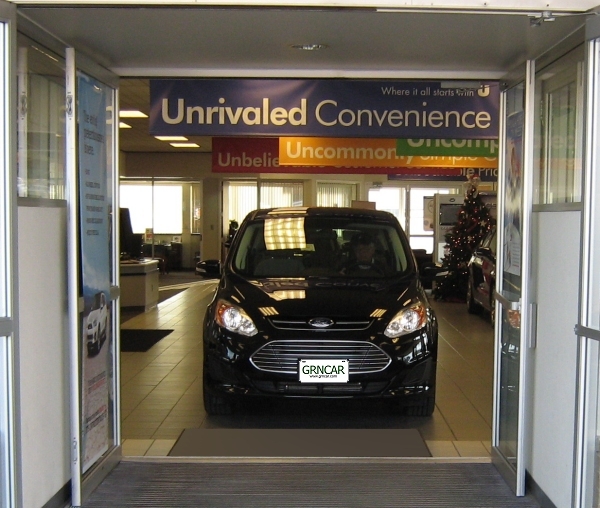 As I see it, the practicality of the Leaf is based on the “gas station in your garage” concept. There is a downside to this because most garages have only 110-volt outlets. While you can use a 110 outlet to recharge the Leaf it is painfully slow and Nissan does not recommend it. Instead they recommend a home charging station. The home charger will recharge the Leaf in about 7 hours. The charging station will require some rewiring of your garage and according to Nissan that rewiring, plus the charging station, typically costs about $2,000. If you are lucky you live in one of the states where the home charger installation is subsidized by a city or state rebate. If you’re not lucky, add $2,000 to the cost of your new Leaf. The good news, that the Leaf is electric, can also be considered the bad news. Until an efficient method of quickly recharging the Leaf is found the best you can do is a quick-charging station which provides a full recharge in about 30 minutes. Quick-charging stations are being added in many cites, however, to use the quick-charge station you must have a Leaf that supports it which adds another $2000 to the base price of an already expensive car. Since a fully charged Leaf only has a 75-85 mile driving range relying on quick-charge stations probably isn’t realistic for most owners. For now, due to the lack of quick-charge stations and the potential for a long wait (especially if someone is in line ahead of you) the Leaf is probably not the car for long distance drivng.